If you are an audiologist, chances are you will see some clients who work in the music industry – musicians, sound engineers, roadies and so on. HEARsmart is keen to help all audiologists understand the specific needs of this client group and provide insights and tools that might be useful in working with these clients. We’re encouraging musos and the broader industry to seek help and want to support audiologists in providing the best possible care they can. Our PhD student is an audiologist and is actively researching in this space, we will be asking her to add some thoughts to this page soon. 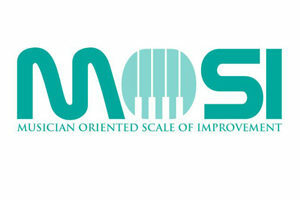 One of the tools that we have already developed in association with colleagues at The University of Melbourne Audiology Clinic is the MOSI – or the Musician Oriented Scale of Improvement. Its still being tried and tested, but can be used with any client working in the music industry to record and track hearing goals and interventions. If you would like to find out more about this tool, contact us at hearsmart at hearingcrc.org and we would be happy to tell you more about it and if you are interested, maybe you can even help us test it out?